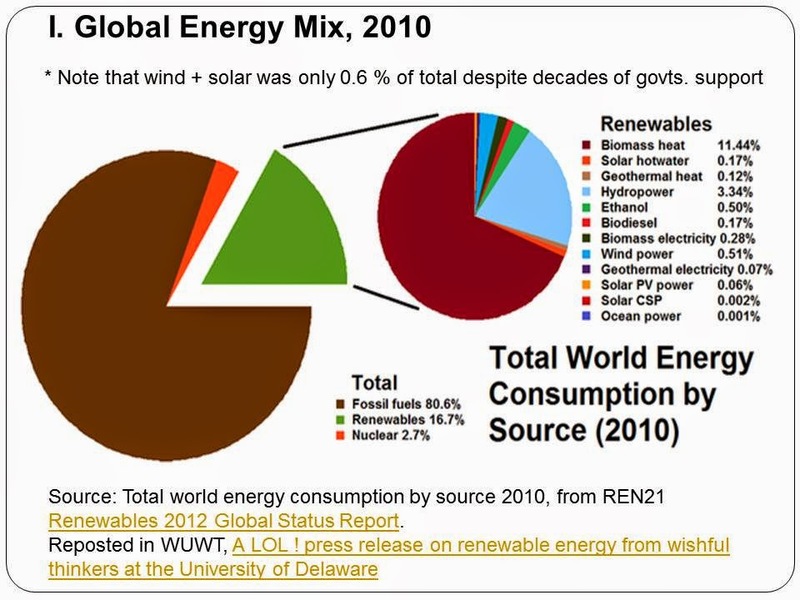 The reason why if there are wind farms, there are no houses, no fishing or farming village, no beach resorts, almost no other economic activity. 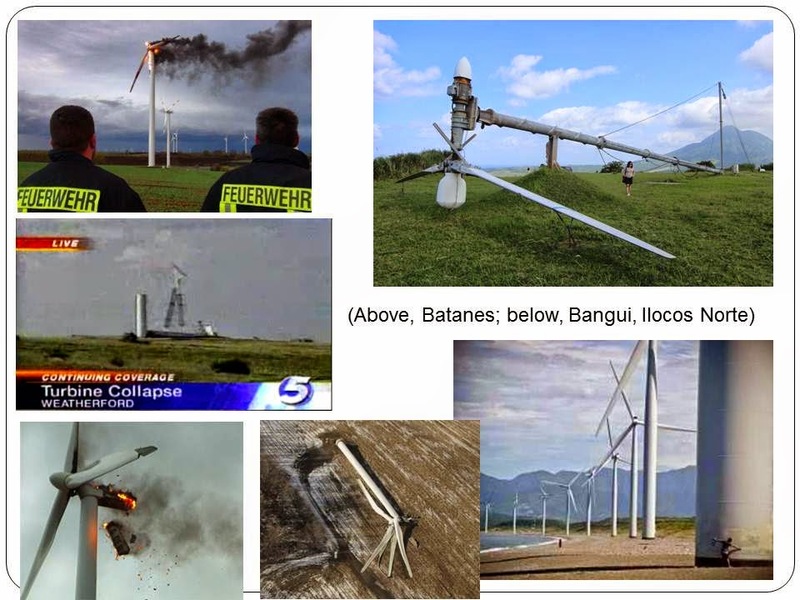 Those wind towers can fall down, wind turbines and blades can get burned and fall down. 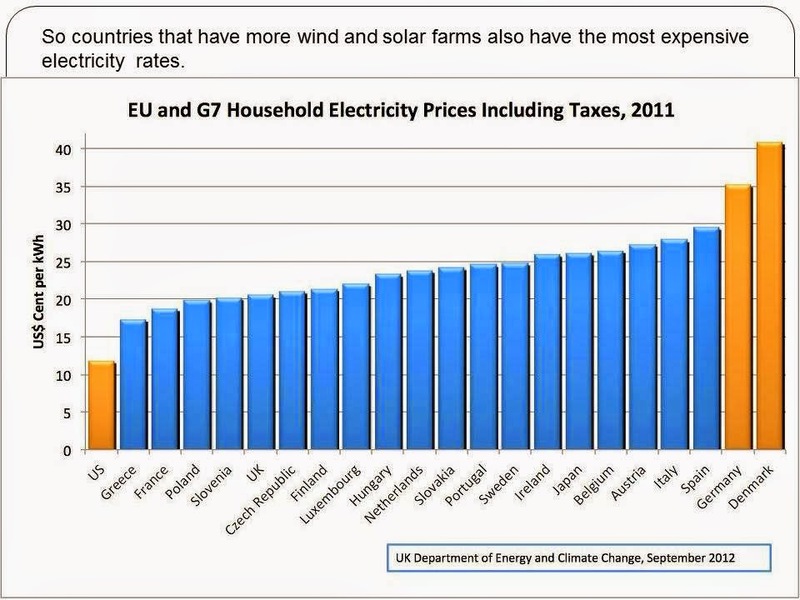 The economic trade off of having more wind farms is huge. Plus huge amount of mining and production of iron and steel, cement and other mineral products. Climate change (CC) is true. It happened in the past, happening now, and will happen in the future. 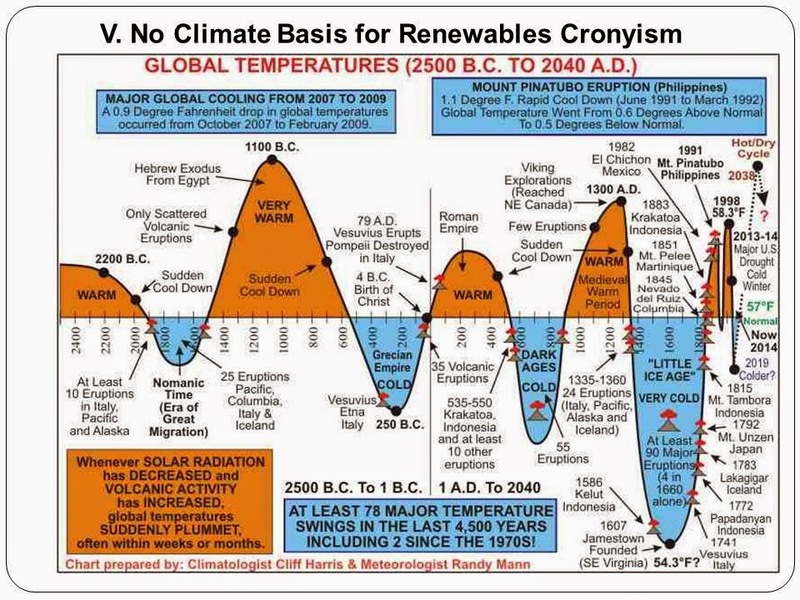 Global warming (GW) is true, it happened in the past (last century, Medieval warm period, Roman warm period,…), and will happen again in the future. Global cooling is also true, happened in the past, happening now. Because CC is natural (nature-made, not made), it is cyclical (warming-cooling-warming-cooling), and has precedents (not “unprecedented”). Skeptics (like me) do not deny CC or GW because these are true. 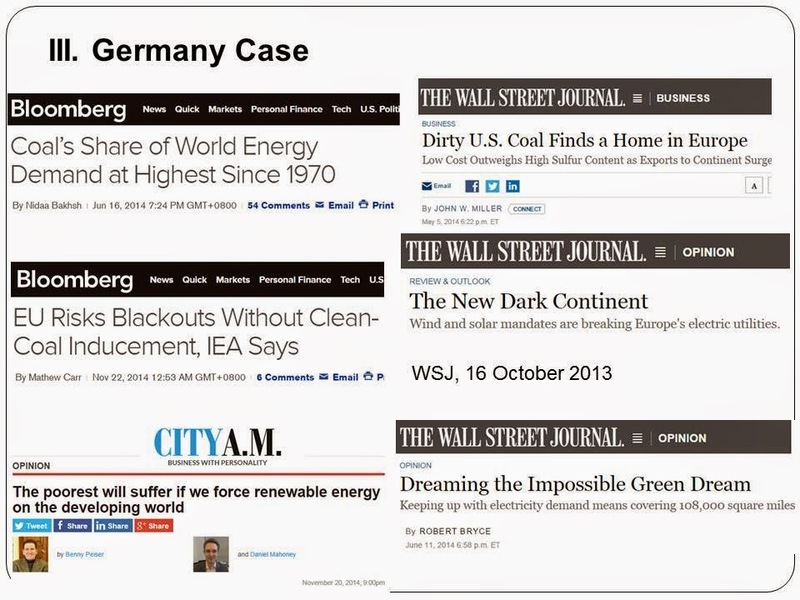 What we deny is that CC and GW is “man-made” or anthropogenic. 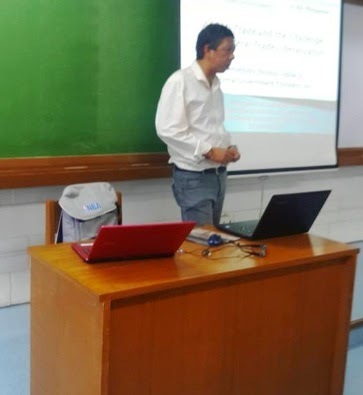 CC is caused by nature (the Sun, galactic cosmic rays, water vapor, volcanoes, ocean oscillation, carbon cycle, hydrologic cycle,…). 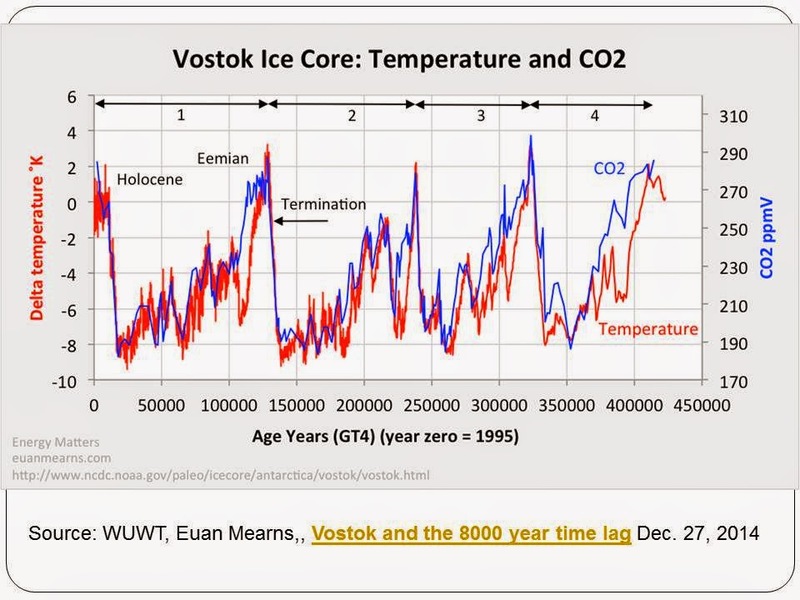 Below, warming-cooling cycle coinciding with CO2 concentration. One study says temperature leads CO2, other studies say it’s the reverse. Common denominator, there are precedents of warm period, lasting for decades & centuries. 3. 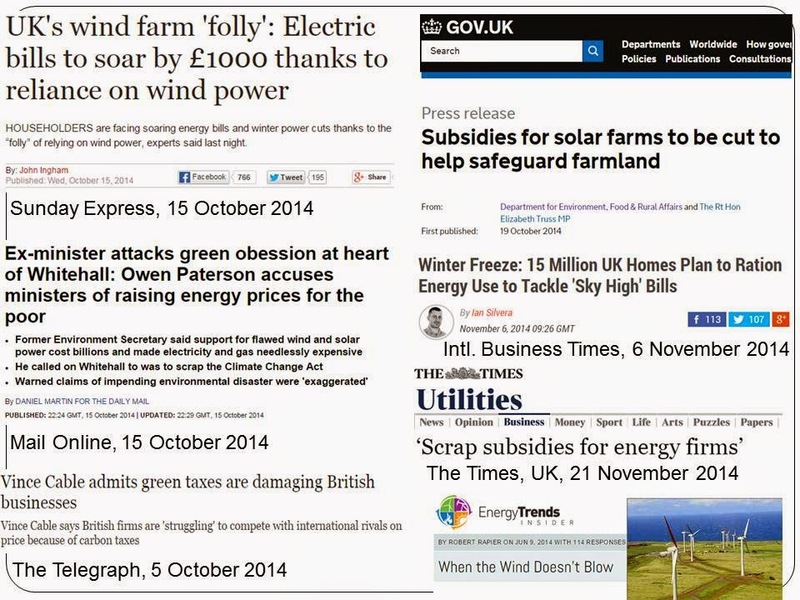 Renewables are fine, provided there should be NO subsidies. People can put up solar panels in the roof of their houses and buildings, fine. People can put up wind towers in their farms and private property, fine. They are using their own money, taking their own risks and benefits. 4. 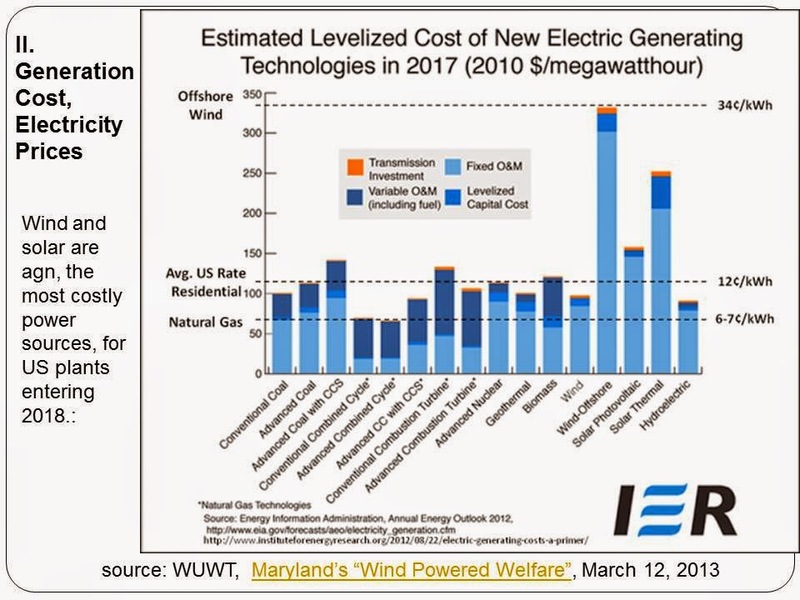 It is different when people put up wind farms or solar farms in huge areas including public forest lands, because they want to get paid huge money (via RPS and FIT) at the expense of consumers. 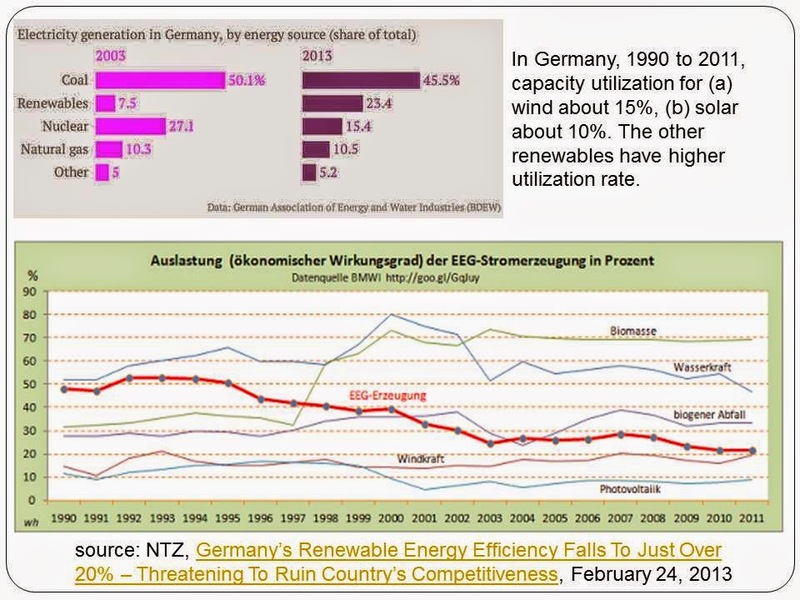 FIT is the guaranteed minimum for renewables. 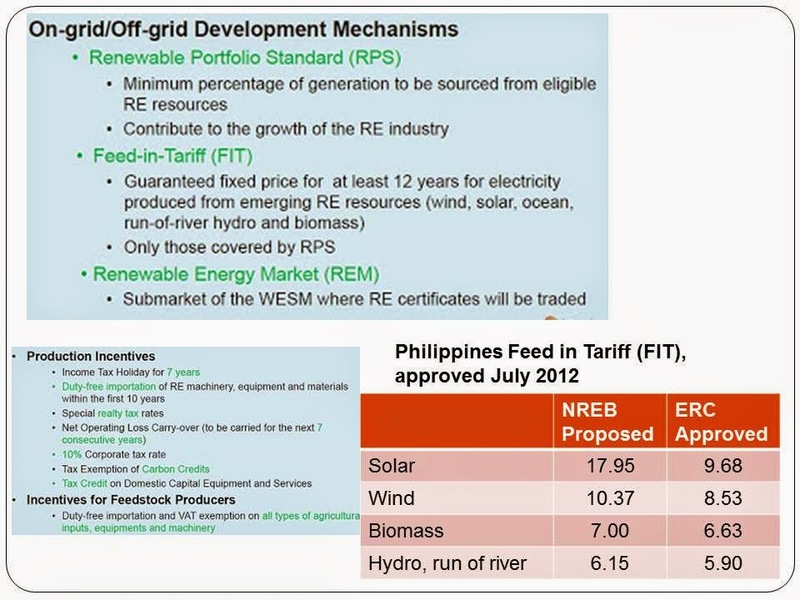 While coal, nat gas, big hydro geothermal can be priced down to P1/kWh or even less during non-peak hours, renewables are guaranteed to be paid FIT rates. 5. 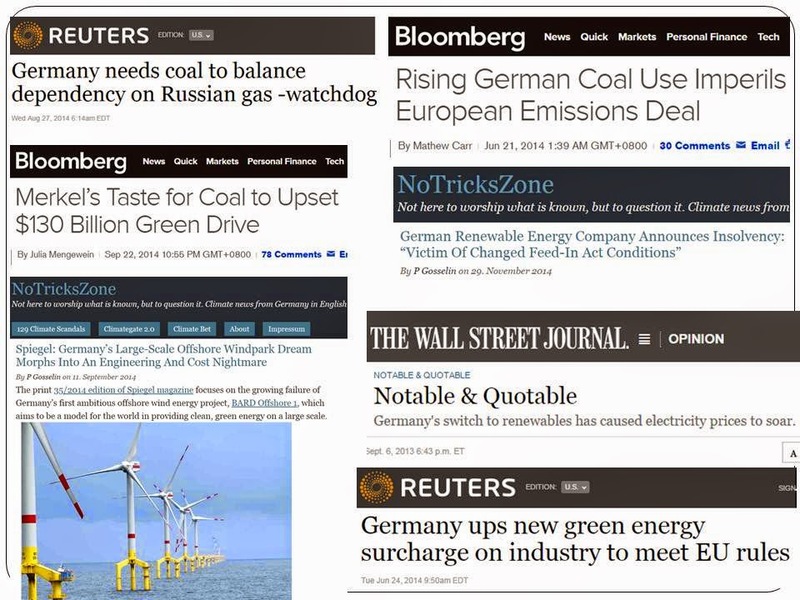 Cases of Germany and UK show that government intervention and cronyism in energy policy is wrong and counter-productive. Governments should get out of electricity pricing, stop forcing grid operators and electricity distributors to buy first from renewables even if their rates are expensive. 6. 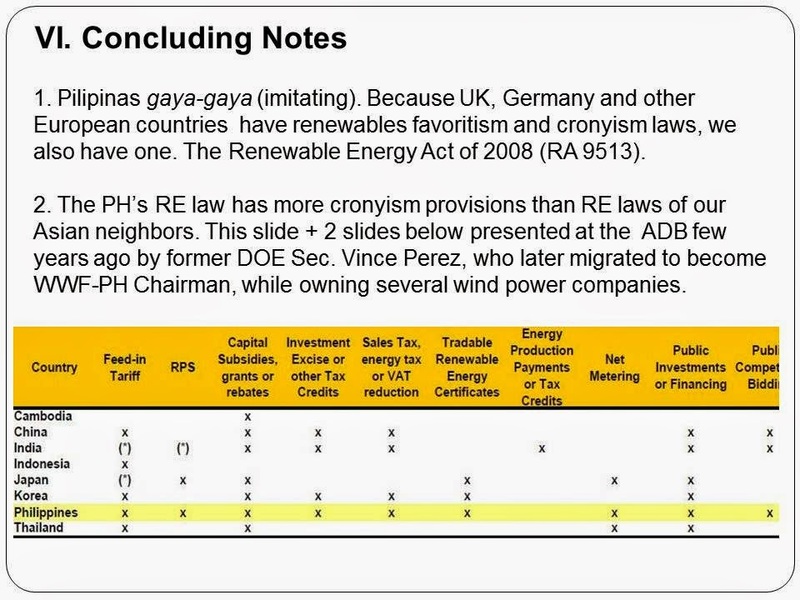 There is zero climate basis for renewables cronyism. 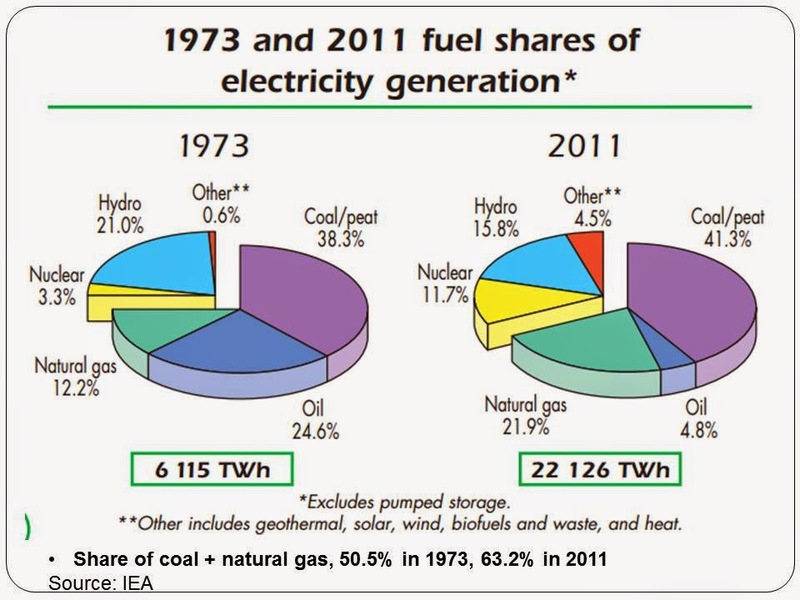 There is zero justification for governments to intervene heavily in energy production mix and electricity pricing. 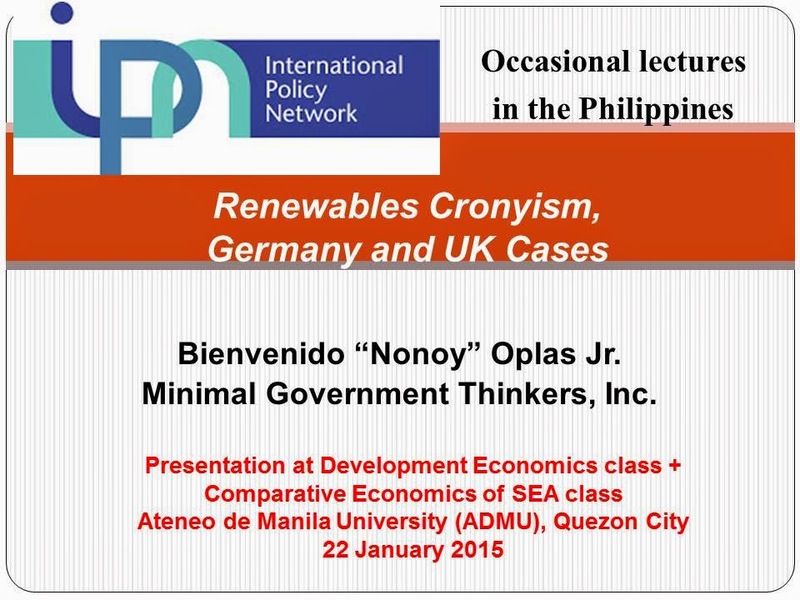 The full 23-slides presentation is posted in slideshare.